Many people have asked me why I became a helping professional. I share my answer with you now. All my life, it appeared that I was “on the right track,” so that by the time I was in my twenties I had achieved all of the trappings of conventional success: I was married, I had earned my PhD, was financially comfortable and traveled often. But always, deep within, I felt a haunting sense of incompletion—a pervasive longing for something I couldn’t name. Then one cold winter day in February, when I was twenty-nine, everything changed. On that day, in a professional workshop, I had a number of experiences that pierced the core of my being and unleashed my life energy, my essence, which had largely been locked up. I felt the power of love: life itself and larger than life, the visible and the invisible. I opened to a new clarity of seeing, through which I met the present moment free from the past. I discovered what I could only call “Real Life.” This, I recognized, was what I had always been looking for—the vision that would pull me forward for the rest of my life. Like every journey, it happened a step at a time, each step bringing a new freedom. Out of my desire to live “Real Life” which meant heal myself, live from my life energy, my essence, and live in harmony with the mystery of life, I began my life’s work. For over two decades, I have worked with individuals, couples, teams and organizations using my unique integration of a psycho-spiritual therapy, coaching and holistic business strategizing. I am a professional public speaker, and published author; I conduct workshops nationally and internationally and appear on radio and television. As an expert in the development of human possibility, I address a full spectrum of issues, from moving out of “stuckness”, fear and people pleasing—which could manifest as depression, anxiety, relationship conflicts, and business issues of all sorts—to evolving into a transformational, inside-out mindful and free mentality. In this place we live and thrive as our whole selves; being authentic, present, empowered; having our voice, feeling good enough, pursuing our callings in the world, being leaders, living our lives and giving to the world. I now see that, all along, I was building a roadmap that would help others find their way to this new way of living. It is unending. It is beyond my wildest dreams. It was worth all the work. Today, I choose to be one of the many who acts as a midwife for the birth of a new world: one that works for everyone. A world that supports us all in being and becoming our best selves, supporting one another, based on the love of truth and the truth of love. Another world is not only possible. She is on her way. On a quiet day, I can hear her breathing. Stay tuned for our upcoming teleclass-workshops. You can also work with me privately if you wish. Sign up for my newsletter to be notified of events, click here. Feel free to pass this on to resonant others. 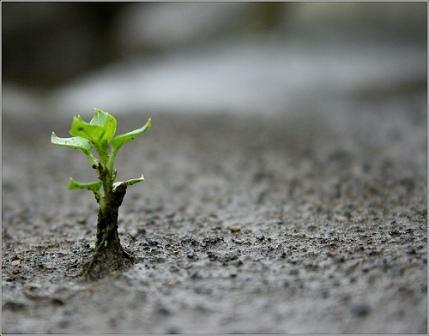 Mindfulness: The Art of Cultivating Resilience. Undeniably, sooner or later, we all have to deal with life’s realities—those hard surprises and “unknowns” that can literally change everything in less than a nanosecond. Reactions like these reflect a fear-based survival framework for viewing the situation, whereby we filter the external facts of what’s happening through the internal lens of what we feel (our thoughts, feelings, beliefs and body sensations). In this way, our fear creates our reality, locking us in anger, powerlessness, and blame. Although it’s understandable why we might react from fear when facing the prospect of losing our job, or other challenging situations, mindfulness is a powerful tool that offers us the opportunity to make a radical shift in orientation. Mindfulness is the practice of bringing our awareness to what we are experiencing in the present, both internally and externally, without judgment (Kornfield, 2009). It is a wake-up call to become conscious of the ways we perceive and respond to life’s situations. When we live mindfully, we shift our entire ground of being. Here’s a traditional, easy-to-follow exercise to help develop your mindfulness during difficult situations (Klau, 2009). Mindfulness takes time to develop. It is an ongoing process. Be kind and compassionate to yourself as you follow these instructions. Sit in a quiet room where you won’t be disturbed. It’s natural for your attention to become distracted. When that happens, simply return to your breath. While focusing on your breath, allow your thoughts, feelings, beliefs, and body sensations to enter your awareness as you perceive the external situation. We don’t have to meditate to practice being mindful. There are many ways to incorporate mindfulness into our daily lives. As we become increasingly mindful, we can begin to respond from a place of freedom and choice. In other words, we can act with resilience. Compassion: You hold the intention not to judge yourself or others. You are mindful of your self-talk. However, if you do judge yourself, you don’t judge yourself for judging. You are kinder and more supportive. If mindfulness brings the wisdom to see clearly, then compassion brings a loving heart (Neff, 2011). Acceptance: You increasingly accept the facts, which you can distinguish from the feelings. Acceptance isn’t about “giving up”. It is having the strength to “let go” of control and stop fighting reality. Openness: You’re progressively open to viewing even the most difficult situations as opportunities for growth. You trust that they have something to teach you, and you expect to learn. Creativity: You draw on your power to visualize and create the results you desire. At the same time, in the spirit of acceptance, you are not attached or fixated upon your own expectations. Living resiliently represents a whole new way of being and doing. In this way, resilience isn’t just for the hard times…it’s for all times. Empowering us to live, love, and work adventurously in the face of change, it builds a well from which we can draw for the rest of our lives. Need some space to chill out, cool down; need some time for yourself? Go to our Free Meditation Room. Perhaps you just want to sit quietly, do nothing, and Just Be. Perhaps you want to choose one of our pictures to as the object of meditation. You can read the simple written instructions for Mindfulness mediation.